The lighting industry is in its post-enlightenment period. We’re beyond speculating about what LEDs could do—we’re now prepared to showcase what we’ve done. Outdoor gathering spaces are an emerging trend in the architecture and design world. Restaurants, workplaces, and shopping centers are learning that to be enticed away from their screens, people need an enriching, nature-focused experience. That means more outdoor venues, more patios, more promenades, and more courtyards. 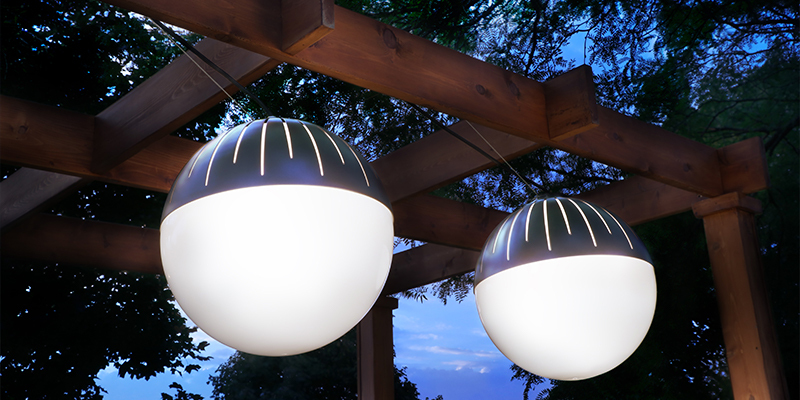 Catenary lighting fits perfectly in these outdoor designs. Without obstructive poles and beams, catenary lighting can be strung along a support cable between structures. Laterna, Zume and Sequence were designed to fit outdoor aesthetics and withstand the elements. They drew crowds last year with their catenary fixtures mounted under a welcoming wood pergola. Expect to see them again this year—but look a little higher. One of the biggest aesthetic advantages of LED is the freedom from bulk. Fixtures are lighter, leaner, and more easily integrated into surrounding designs. 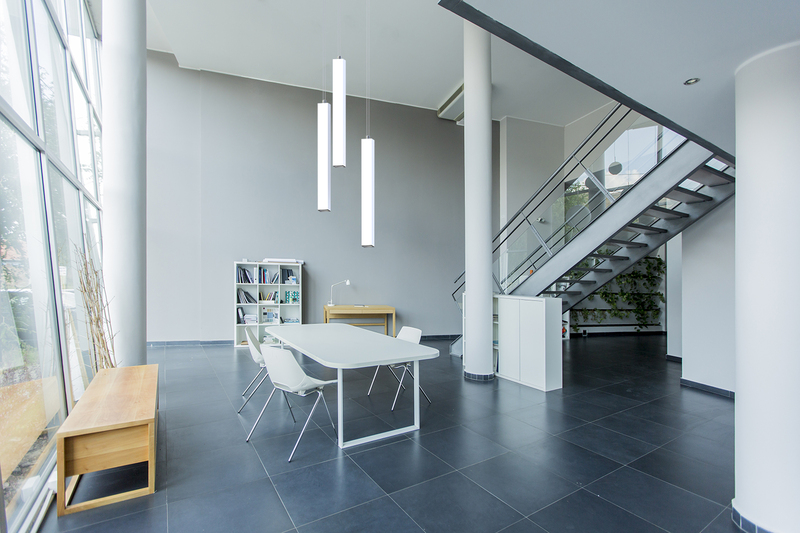 Ring fixtures are a result of that need for simplicity, and they are all over lobbies and large venues in pendant form. 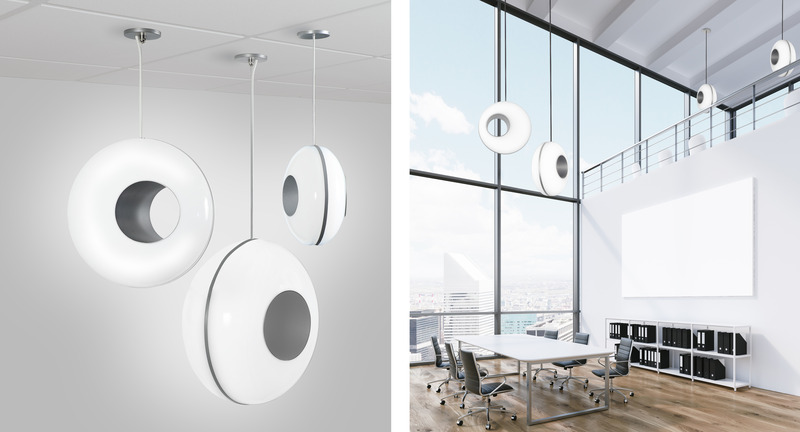 Meridian surface-mounted ring fixtures come in circular and square shapes to create unique lighting installations on walls or ceilings. 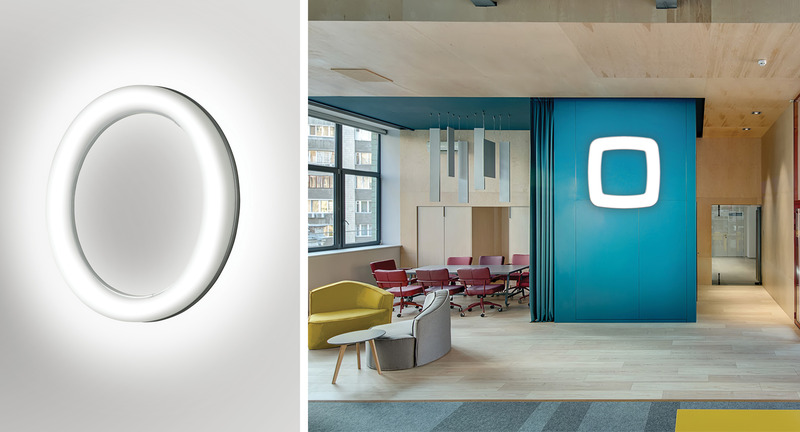 Two years ago, Visa Lighting created a striking pendant called Peek. Boasting a luminous round body and asymmetric void, it’s a little mid-century modern, a little otherworldly, and unmistakably eye-catching. Specifiers called for more size options, so Peek will be displayed in the booth with two new siblings. Cylindrical pendants were around before LED took off, and they’ll be around much longer. Designers like the vertical slices of light they get with slim cylinders, as well as the ability to cluster groups of various sizes for eye-catching arrangements. But it’s time for something new. Designers have been asking for a new form for vertical pendants. In response, Visa Lighting engineered Pillar in an unprecedented new shape: square. The new Pillar rectangular pendants come in 4” or 8” diameters and multiple lengths, similar to the cylindrical Sequence family—only now with square corners and flat planes. Hospital patient rooms are extremely busy, and plenum space is at a premium. Healthcare facilities need overbed light fixtures that can fit around existing equipment while taking up as little space as possible. Unity and Lenga dual overbed slots are designed for that particular need. 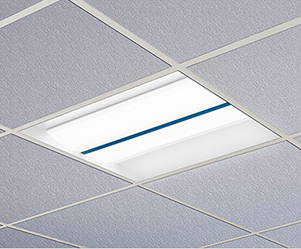 With reading, ambient, and exam lighting modes, these slim 3” fixtures can multitask for patient comfort and staff functionality—without getting in the way. 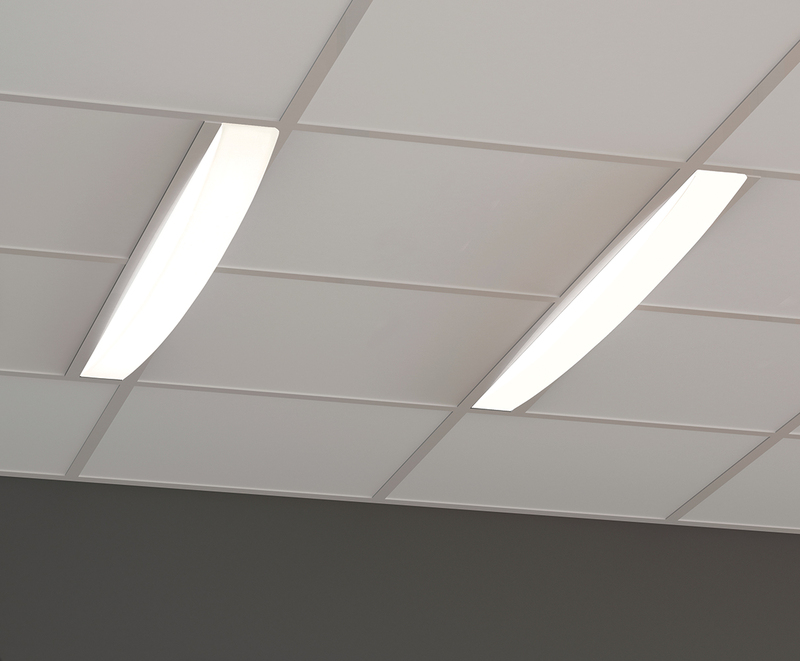 Also featured in Visa Lighting’s LightFair booth this year are two linear classroom/workspace fixtures designed to adjust to different productivity scenarios, and a line of luminaires created in collaboration with Vital Vio for safe, continuous disinfection. The Vital Vio team will be in the booth as well, giving comprehensive pop-up presentations and answering specifier questions.